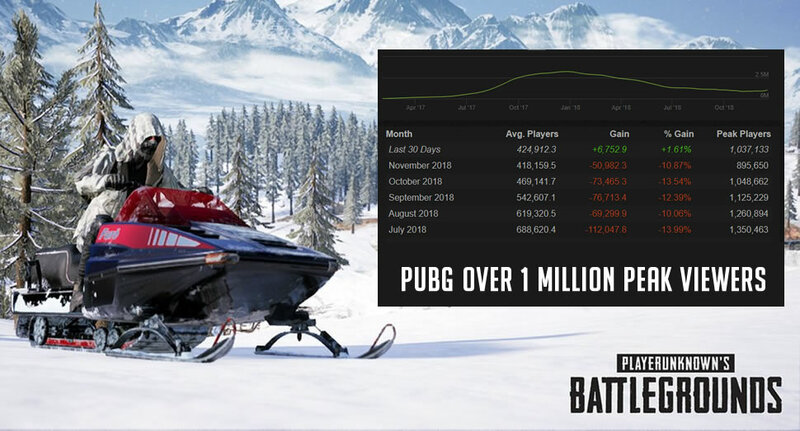 PlayerUnknown’s Battle Grounds (PUBG) has reached the 1 million concurrent player mark. This is the first month in 2018 where PUBG has seen an increase in players from the previous month. Beginning in January of last year every month PUBG was seeing a decrease in concurrent players. However, in early December after the announcement of the new map “Vikendi” players have started to come back to PUBG. After setting records on Steam in January of 2018 with 3 million concurrent players, it has been all down hill for PUBG. With the release of many other popular battle royale titles like Fortnite, Call of Duty Blackout and more the title has seen a major increase in competition. 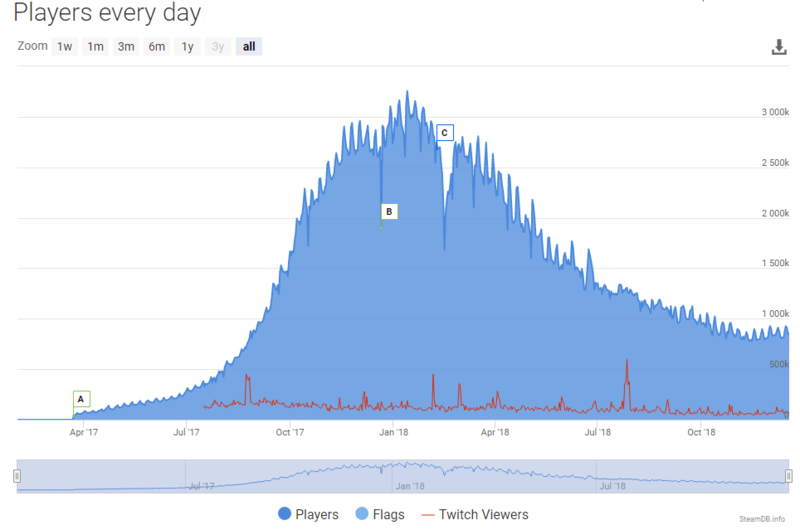 This competition has led to not only a decline in concurrent players, a decline in Twitch viewership as well. The decline in viewers and players made it clear that something new needed to happen, or something major needed to change. That’s when PUBG decided to create another new map “Vikendi“. The winter themed map got players excited to try out PUBG again. Once players tried the new map they noticed major improvements to the quality of life (QoL) in the game. Major improvements have been made to performance, desync and other factors that influence the feel of the game. The improvements have led to an almost 2% increase of average players, and a 120,000 increase in peak concurrent viewers. For a game that was losing more than 10% of it’s players per month that is a major turnaround. With increased competition in the battle royale genera it appears PUBG know what their players like, and are trying to build on that. It all comes down to if PUBG can retain those players. Can they come out with innovative updates like Fortnite and Call of Duty are? Can they keep adding new maps, guns or cosmetics that players are interested in? 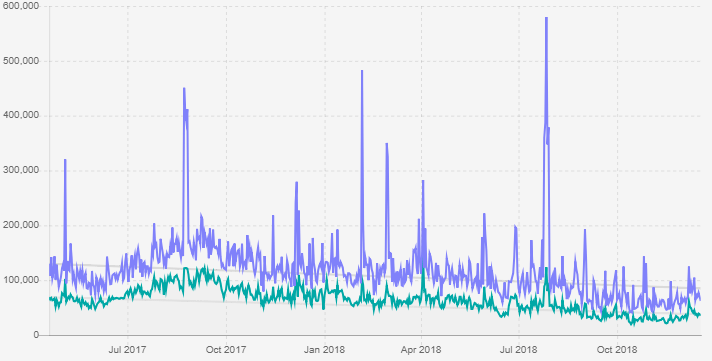 I’ve updated the article to include SteamDB stats. Not saying that you are wrong, but what is your source for Steamcharts being inaccurate?